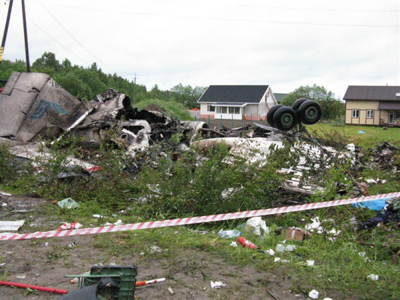 An Antonov plane crash-landed in poor weather conditions in Russia’s Far East on Monday. A wing and its chassis were torn away, and the impact caused the engine to leak fuel. No fatalities were reported, but fifteen people were injured. Seven people have been taken to hospital including the pilot, who has a broken hand, according to RIA News Agency reports. The aircraft owned by the “Ir-Aero” Air Company was carrying 36 people including three children and reportedly failed to land on the runway. Meanwhile the Blagoveshchensk airport has been sealed off by police and firemen, and a special information hot-line has been opened. 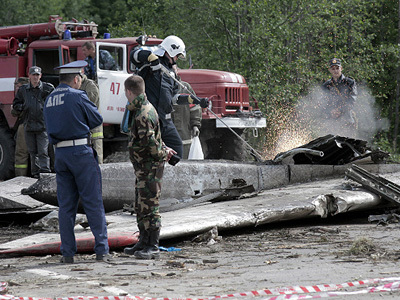 The governor of the Amur region has visited the site of the accident. 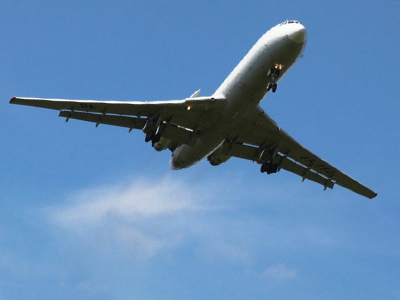 The incident may have been caused by poor weather conditions which reduced visibility and made it difficult for the pilot to keep the plane on the runway, according to preliminary reports from the Russian Emergencies Ministry. “The cabin started to shake, screams were heard everywhere, I saw a child clutched between seats,” – said one passenger, describing the terrifying ordeal. The fuel leaks from the engine of the jet were only prevented from catching fire by heavy rain in the vicinity of the airport. “Only a miracle saved the passengers of the jet and prevented fatalities”, witnesses were quoted as saying by the "Port-Amur" news agency. 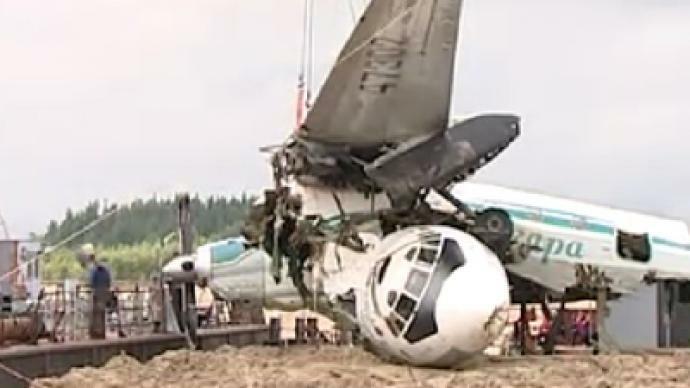 It is not the first plane crash involving the Antonov jets. 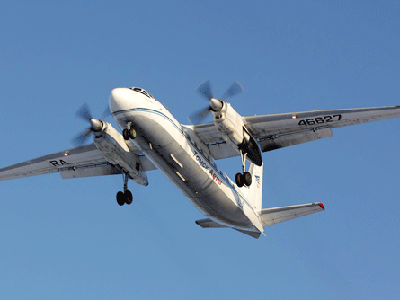 In July, a similar An-24 crash-landed on the Ob’ river in the Tom’ region. The incident left seven dead. Following the July crash, Russian President Dmitry Medvedev called for an end to the use of Antonov-24 jets along with Tupolev-134 planes. The aircraft manufacturers have so far offered no comment.